I am getting married on 10/10/10 outside in a park in Newburyport, Massachusetts. So my colors are red, black, and white. This cake is so beautiful but, for our wedding I wanted a 3-4 square tier white cake with black lace/henna designs all over it. I want it to look like the cake actually has lace or henna designs all over it. Then to incorporate red I will put red roses or other flowers like this photo has above. This is the trend now and it is so elegant and classy. It is also cheaper than getting fondant flowers. It will most likely taste better as well. I don't think having different tiers with different colors goes real well. A new trend is getting your monogram on cakes and you can incorporate that into everything. 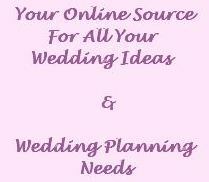 Including: menu's, invitations, signs etc. I also think cake toppers, unless they are your monogram, are very tacky. I feel that the cake toppers with bride and groom are 1990's and not cute at all. The cake should speak for itself! I think the simpler it is the more beautiful!! Join in and write your own page! It's easy to do. How? Simply click here to return to Black and White Wedding Cakes.